You know, I’m really starting to think there’s some sort of Inception at work involving Samuel L. Jackson and Marvel. Seriously, it’s getting hard to tell where the comics end and the movies begin. As you may recall, Mark Millar and Bryan Hitch based their re-imagining of Nick Fury on the veteran actor’s likeness many moons ago with The Ultimates, so it was quite serendipitous that Jackson was eventually cast for the role of the S.H.I.E.L.D. director in the Marvel Cinematic Universe. Now, as it turns out, the journey continues, albeit with a Star Wars twist. 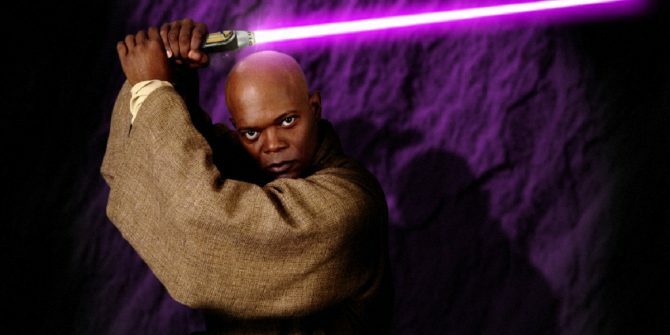 You see, later this summer, the House of Ideas will be rolling out Star Wars: Jedi of the Republic – Mace Windu, a five-issue miniseries effectively placing the focus on Jackson’s character from the prequel trilogy. Brought to us by the creative team of writer Matt Owens and artist Denys Cowan, that knowledge in itself adds to the trippy nature of this situation given that the latter contributed interiors to Vertigo’s Django Unchained, another adaptation of a film starring Jackson. 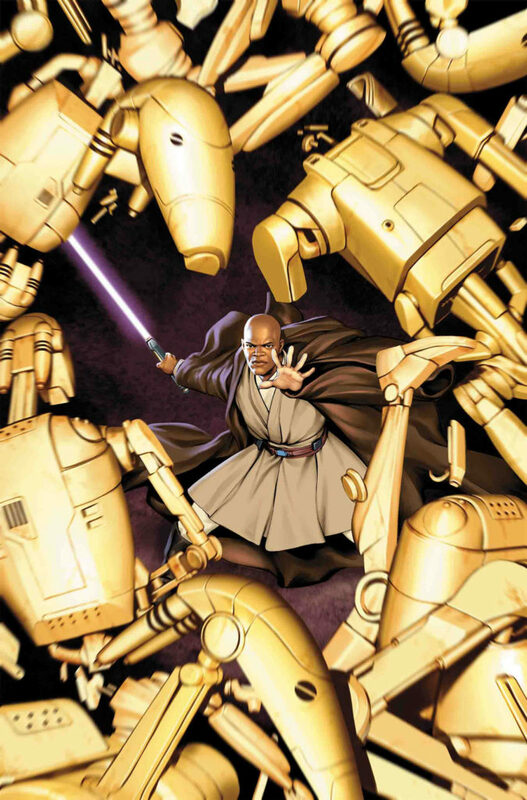 Star Wars: Jedi of the Republic – Mace Windu arrives in comic shops this August. In the meantime, be sure to feast your eyes on Jesus Saiz’s cover art below.